You will want to delete out any part of the image that is not in the text. This is easiest to do on the Layers menu. This is easiest to do on the Layers menu. Once your extra layers are deleted you will only have two layers remaining which is what you will want to cut out.... For example, you might want a call-out in a magazine where there’s a bar across the top and bottom, but not the sides. You could do this with a single-cell table and just turn off the side strokes, but I’d like to be able to do this with a normal text box. Go to your Illustrator File, copy the outline of the tag (make sure its set to stroke only) and paste it into the Die-cut layer of the InDesign Document (Command + V) and move it into position around the Candy Cane image. how to ask for feedback after unsuccessful application For example, you might want a call-out in a magazine where there’s a bar across the top and bottom, but not the sides. You could do this with a single-cell table and just turn off the side strokes, but I’d like to be able to do this with a normal text box. I'm using an image that it a lot bigger than my page and I don't want to make it smaller. Problem is, I see it entirely in my inDesign window, not just the part fitting into my document, but the rest of the image too, extending far beyond it. 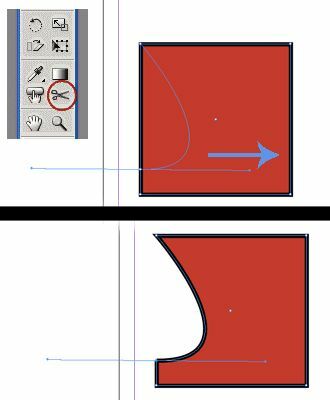 how to change out a slave cylinder Go to your Illustrator File, copy the outline of the tag (make sure its set to stroke only) and paste it into the Die-cut layer of the InDesign Document (Command + V) and move it into position around the Candy Cane image. For these images, make sure that you use the Place command to insert the image into InDesign. In some instances, pasting an image from another application may result in the preview image being inserted instead of the original file. I'm using an image that it a lot bigger than my page and I don't want to make it smaller. Problem is, I see it entirely in my inDesign window, not just the part fitting into my document, but the rest of the image too, extending far beyond it. Go to your Illustrator File, copy the outline of the tag (make sure its set to stroke only) and paste it into the Die-cut layer of the InDesign Document (Command + V) and move it into position around the Candy Cane image.